If you are in for giving your casual fashion a stylish twist, opting for this kurta from Sanaa will be an excellent choice. 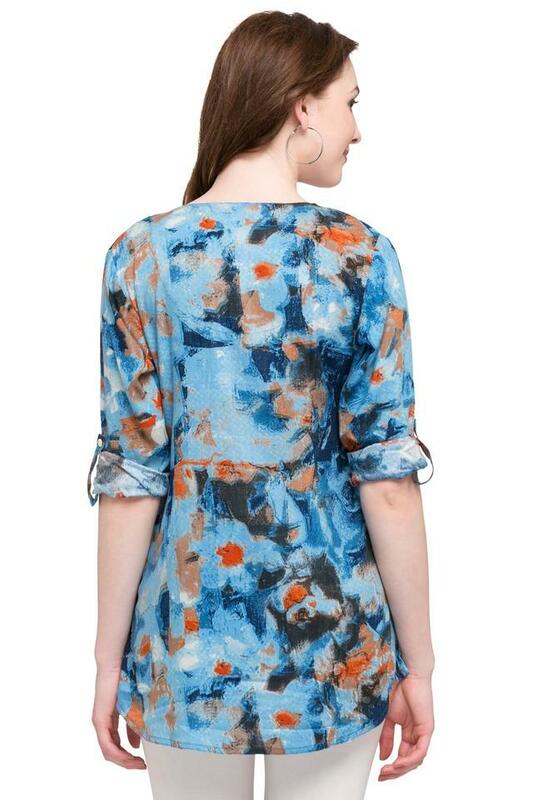 Crafted from superior quality fabric, it is comfortable to wear. Besides, it is adorned with prints and has an embroidered detailing at the front, both of which mark its design quite distinctive. 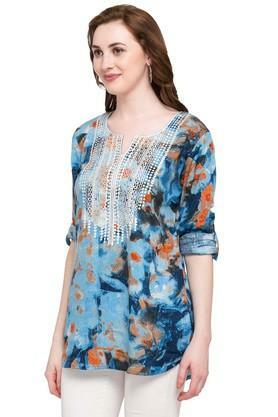 For any casual outing, give this kurta a stylish spin by clubbing it with a pair of pants and heeled shoes. It scores quite high on the comfort quotient as it has been tailored with superior quality fabric.